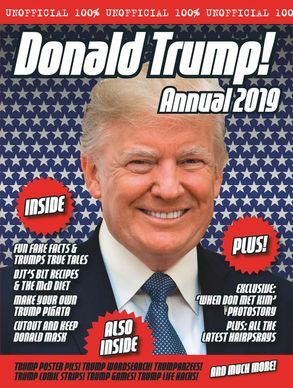 Following the success of the Unofficial Jeremy Corbyn Annual 2018 comes another hilarious spoof annual, featuring a rather different man: Donald J. Trump. 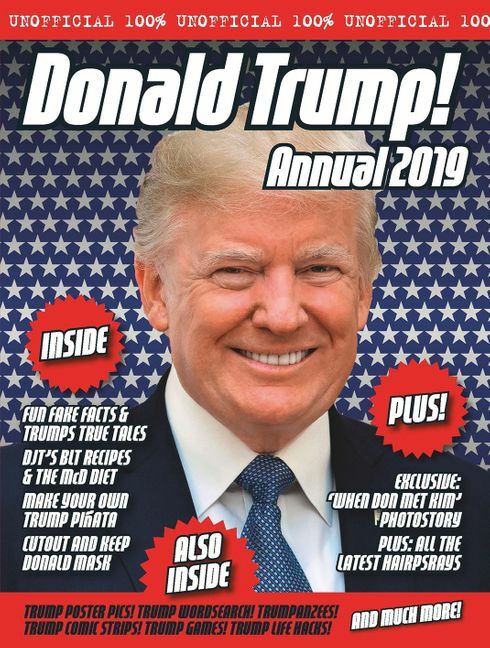 It would be fair to say that 2018 was quite a year for the Donald, and what better way to commemorate his rise to glory than with the Unofficial Donald Trump Annual 2019. Spoofing the highs and lows of the Annual genre from yesteryear, this hilarious read will refresh parts other slightly ironic political gift books cannot reach. plus quizzies, tips, puzzles, posters and much, much more. Smart!